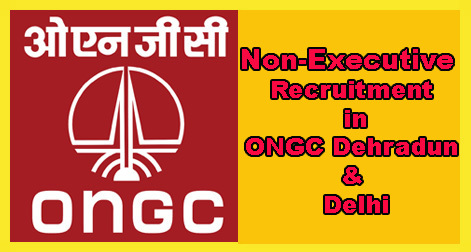 Oil and Natural Gas Corporation Limited (ONGC) Dehradun & Delhi is looking for promising and energetic Indian Citizens with bright academic record and hands-on experience to join the organization in a Non-Executive Post. ONGC Dehradun & Delhi invites applications for filling up various Non-Executive Posts in different specialization on regular basis. Interested candidates may apply online from 07 Dec to 27 Dec 2018. A2 Assistant Technician (Civil) 03 03 Years Diploma in Civil Engineering. A1 Junior Assistant (Accounts) 06 B.Com with proficiency in typing 30wpm and Certificate/Diploma of min. duration of six months in Computer Applications in the office environment. A1 Junior Assistant (Materials Management) 07 B.Sc. with physics or Maths as one of the subjects with proficiency in typing 30wpm with Certificate/Diploma of min. duration of six months in computer application in the office environment. A1 Junior Assistant (Official Language) 01 Graduate in Hindi with English as one of the subjects. Typing speed of 30wpm in Hindi to be conducted on Computer and Certificate/Diploma of min. duration of 6 months in Computer Applications in the office environment. A1 Junior Assistant (Personnel & Administration) 23 Graduate with Typing speed 30wpm. Certificate/Diploma of min. duration of 6 months in computer applications in the office environment. A1 Junior Assistant Technician (Electrical) 01 High school or Class X equivalent board examinations with Science and Trade certificate in electrician trade. Certificate of competency as Electrical Supervisor. A1 Junior Fire Supervisor 14 Intermediate with 6months experience in fire services. Valid driving licence for Heavy Vehicles essential. Driving Test on Fire Tender/Heavy Vehicle applicable. A1 Medical Assistant Gd-IV (ECG) 03 Diploma/Certificate of min. one year duration in Electro Cardiograph (ECG). Min. 01 year in line Experience. A1 Medical Assistant Gd-IV (Pathology) 04 D Diploma/Certificate of min. one year duration in Electro Cardiograph (ECG). Min. 01 year in line Experience. A1 Medical Assistant Gd-IV (Radiology) 02 Diploma/Certificate of min. one year duration in Medical Radio and Imaging Technology.Min. 01 year in line Experience. A1 Medical Assistant Gd-IV (Sterilisation (CSSD)) 02 Diploma/Certificate of min. one year duration in Sterilisation (CSSD). Min. 01 year in line Experience. W1 Junior Fireman 05 High school or Class X equivalent board exam with Fireman’s training of three months duration. Valid Driving Licence for Heavy Vehicle essential. Driving Test on Fire Tender/Heavy Vehicle applicable. W1 Junior Health Attendant 06 High School or Class X Equivalent board examination with first aid certificate. A1 Junior Assistant (Material Management) 03 B.Sc. with Physics or Maths as one of the subjects with proficiency in typing 30 wpm with certificate/Diploma of min. duration of six months in computer applications in the office environment. A1 Junior Assistant (Personnel & Administration) 04 Graduate with Typing Speed 30wpm Certificate/Diploma of min. duration of 6 months in computer application in the office environment. A1 Junior Fire Supervisor 04 Intermediate with 6months experience in fire services. Valid Driving license for heavy vehicles essential. Driving Test on fire tender/Heavy Vehicle applicable. Selection of the candidates will be based on Online Test with skill tests depend on Posts. Complete examination procedure and syllabus will be given in the official notification below. Eligible applicants can apply online through ONGC website www.ongcindia.com. From 07 Dec 2018 to 27 Dec 2018. No other mode of applications shall be accepted. Help us to improve this article/job posting "ONGC Dehradun, Delhi Non Executive Recruitment 2018". We would be glad if you can comment below and provide your valuable suggestions and feedback. If this page have any wrong information/list or out of context content, then you can report us as well. I am post graduate(M.com) and my age is 35 can i apply for a post of junior account assistant. 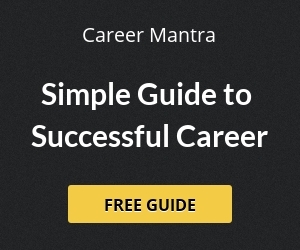 Is there any requirement of experience or it can be fill by fresher? What does that domicile mean? I mean i have the certificate of U.P. so am i eligible for this job? Exam date or admit card kb tk PTA aaenge. Whats the tentative date of Junior Accountant. plz ,exam date kab he, mera admid card nahi aa raha he. Sir. 2 different posts k liye ek hi exam hoga . Admit card me ek hi time n date h? SIR ONGC K EXAM 27 TO 29 MARCH 2019 KI ANSWER KEY OR RESULT KAB TAK AAYEGA? sir ongc dehradun 27 to 29 march 2019 k answer key kab tak aayegi? Sir kindly guide me that when ongc non executive post for Delhi and dehradun exam answer keys or result will be arriving?